Let's face it, we all have different strengths and weakness. Some people know how to build a car while others know how to solve complex math. For the lucky few, some people even know how to do both but it's impossible to know the ins and outs of all processes. When it comes to energy efficiency solutions, Thermarate are a leading provider of energy assessments in Australia and can help you take the stress out of obtaining building approval. Thermarate manages the entire assessment in-house with the modelling of your building plans using industry standard software systems. From construction materials and location, to the colours, floor coverings, orientation and insulation, we measure the impact of all building elements to assess the efficiency of your new development. We specialise in providing energy ratings and are certified to provide a range of assessments including the NatHERS House Energy Ratings method (6 star rating), the Elemental Provisions method (DTS), the Verification Using a Reference Building method (VURB), and are pre-approved to provide the Verification Using a Stated Value method (VUSV) before its launch in May 2016. The popular House Energy Ratings method sees the software running seasonal climate simulations to measure the energy required to heat and cool the home throughout the year. This energy rating is then converted to a star rating between 0 and 10. Other assessments take in different factors for assessment and may be more cost effective for your situation. Contact us to find out what assessment is right for you. If a design does not meet the minimum requirements for compliance, we will provide you with a list of options that will enable the design to meet the standard, broken down in cost, preference and timeframe. Maximise your spend, reduce recurring costs and receive great value for money by selecting the option that's right for you. Engaging with Thermarate is easy and does not require any additional information than what you should already have. All Thermarate needs to produce an energy efficiency report are architectural drawings of your build in a PDF document. The architectural drawings should include the site plan with a North point shown, floor plans and elevations. If available, it's also beneficial to have any sections, details, electrical plans and specifications. Thermarate make every effort to ensure that approval process is as simple and easy as possible, for you to obtain an energy assessment and aim to have it back in your hands within 24 hours. As long as all the required information is contained within the architectural drawings, the submission of this document is the only step required to generate a detailed report. If the design requires any revisions to achieve compliance, we will itemise a list of changes for you to consider and note their impact on cost and timeframe. All you'll need to do at that point is to let us know your preferences and we'll take care of the rest. No need to meet with us face-to-face, we can carry out the whole process online or over the phone. Can Thermarate work directly with my builder? Thermarate provide their service to anyone in need, be they the general public or commercial entities. In fact, many of our clientele include professional builders, so we're more than happy to connect directly with your chosen building company. 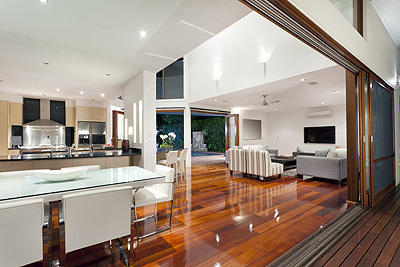 With our quality of service and fast turnaround times we are the provider of choice for builders, architects and home owners around Australia. For standard efficiency reports we strive to maintain a 24 hour turnaround time. For larger jobs we have an online job management system to monitor and track what's happening on your project. If you require any assistance with obtaining an energy efficiency assessment then please contact us today for a free quote. You'll be in safe hands with our 100% local Australian team and you could even see your required certification back before the day's end!